Mark Romeo is a partner with the firm and a member of the firm's Litigation & Trial Department, and a member of its Trade Secrets Working Group. He also provides support to the firm’s Labor & Employment Practice. Successfully won motion to dismiss for lack of personal jurisdiction in the Eastern District of Pennsylvania in trade secrets case after five-day evidentiary hearing, with direct and cross-examination of key witnesses on both sides. Achieved summary judgment dismissing entire trade secrets case on statute of limitations grounds. Won motion for judgment on the pleadings on grounds of preemption by the Uniform Trade Secrets Act. Successfully negotiated resolution of usurpation of corporate opportunity case involving former fiduciary of client who left to start up a competing business. Achieved "no hire" agreement for client in context of key competitors soliciting client's employees. Achieved seven figure settlement on behalf of plaintiff in a trade secret and breach of fiduciary case on the "courthouse" steps two days from trial in federal court in Orange County, California. Mr. Romeo also has substantial experience in government data rights issues (arising under the FAR and DFARS) arising in connection with trade secret and related tort litigation. Provides due diligence-related advice and counseling regarding employment-based matters. Analyzes and advises on the permissible scope of restrictive covenant agreements, including, but not limited to, non-compete and non-solicit agreements, as well as proprietary information agreements, and works with entities to draft such agreements across all states. Mr. Romeo also represents executives and select employees in drafting employment agreements, including key components such as stock option and restricted stock grants, bonus and severance provisions, assignments of intellectual property rights, as well as negotiating restrictive covenant agreements. When necessary, Mr. Romeo represents executives and employees in litigation (in both state and federal courts and before arbitrators), in a variety of areas, including breach of contract, violations of wage and hour laws, and misappropriation of intellectual property, achieving very significant judgments and settlements. Defeated collective action alleging violations of California wage and hour laws for government contracting client by raising the "federal enclave doctrine;" the determination that the property on which the alleged violations of California wage and hour law occurred was a fact-intensive inquiry, and was achieved through unconventional research from scratch; the doctrine was utilized not only as a basis on which to remove the action to federal court (from Los Angeles Superior Court), but also to dismiss the entire collective action. Client avoided millions of dollars in alleged back pay and other liability. Achieved full dismissal of putative wage and hour class action case by convincing the opposing sets of lawyers that there were no meal and/or rest break allegations that could be pursued as a class action given the strength of existing company policies, and given existence of an internal taskforce that ensures meal and rest breaks are taken within the various retail stores. The dismissal was achieved within only a few weeks of the case being filed. Successfully moved to preclude Plaintiff from seeking class certification due to failure to abide by local rules regarding timing of class certification motions. Represented employer doing business in all states in wage and hour class action. Successfully moved to compel "trial plan" which ultimately proved to Court that case could not be tried as a class action. Case settled shortly thereafter on very favorable terms to employer. Achieved dismissal of nationwide putative discrimination class action after putting in place plan to curb discovery to plaintiff's particular worksite, which resulted in the named plaintiffs' inability to establish a nationwide policy of discrimination; case was voluntarily dismissed shortly thereafter for a mutual waiver of fees and costs. Extensive experience in representing clients before the DOL, before both DOL investigators and negotiations with Solicitors; recently, represented government contractor in case brought by DOL (and investigated in several regional offices), achieving a nominal settlement after extensive investigation by DOL. Exposure was in the low seven figures. Achieved a withdrawal of investigation of company-wide operations on exemption classifications before California Department of Labor Standards Enforcement, after working with client to lay out detailed basis for position to demonstrate compliance with state law. Achieved successful end to discrimination/harassment case after extensive investigation and written report in case brought against key executive of client. Prior to joining Crowell & Moring, Mr. Romeo was a partner at Pillsbury, Winthrop, Shaw Pittman, LLC, and an attorney with Brobeck Phleger & Harrison LLP and Littler Mendelson, P.C. "What the New Federal Trade Secrets Law Means for Your Clients," Crowell & Moring Webinar (June 15, 2016). Presenters: Mark A. Klapow, Mark A. Romeo, Michael J. Songer, and Vincent J. Galluzzo. "Protecting Your Trade Secrets Practical and Political Considerations," What You Must Know to Protect Your Intellectual Property in China, SoCal District Export Council, Irvine, CA (May 21, 2015). Presenters: Terence P. Ross and Mark A. Romeo. "Medical Marijuana in the Workplace," OCBA - Labor & Employment Section Meeting, Newport Beach, CA (March 9, 2015). Presenter: Mark A. Romeo. "Third Thursday--C&M's January Labor & Employment Update: Marijuana Legalization - Its Impact on Employer Drug and Alcohol Programs," Webinar (January 22, 2015). Presenters: Thomas P. Gies, Glenn D. Grant, and Mark A. Romeo. "Third Thursday—C&M's June Labor & Employment Update: Whistleblowers-What You Need to Know," Webinar (June 19, 2014). Presenters: Christopher Calsyn, Mark A. Romeo, and Rebecca L. Springer. "Litigation Forecast: Developments in Trade Secrets Law and Strategies for Pursuing International Theft," Crowell & Moring Webinar (September 18, 2013). Presenters: Mark A. Klapow, Mark A. Romeo, Michael J. Songer, and Lucy Grace D. Noyola. "Third Thursday--C&M's April Labor & Employment Update: Comcast v. Behrend," Webinar (April 18, 2013). Presenters: Thomas P. Gies, Mark A. Romeo, Shari Ross Lahlou, and April Nelson Ross. "'Garden Leaves' and Other Strategies to Protect Trade Secrets When Losing Employees," Crowell & Moring Webinar (March 28, 2013). Presenters: Mark A. Romeo, Terence P. Ross, and Jessica Thompson. "Trade Secret Protection," Crowell & Moring's USPTO Seminar (January 2013). Presenters: Douglas W. Sullivan, Mark A. Romeo, Terence P. Ross, and Kathleen Balderrama. "Third Thursday--C&M's May Labor & Employment Update: Life After Brinker," Webinar (May 24, 2012). Presenters: Thomas P. Gies, Mark A. Romeo, S. Shane Sagheb, and Andrew W. Bagley. "Intellectual Property for Successful Exporters and International Businesses," Crowell & Moring's USPTO Seminar (January 2012). Presenters: Douglas W. Sullivan, Mark A. Romeo, Terence P. Ross, and Kathleen Balderrama. "Reducing Expenses In A Downturning Economy: The Implications of Salary Reductions, Furloughs, and Other Cost-Cutting Measures," Crowell & Moring's Labor Ounce of Prevention Seminar, Irvine, CA (April 8, 2009). Presenters: Mark A. Romeo and Christina K. Dallen. "Look Who’s Watching: How to Protect Trade Secrets," South Coast Metro Alliance (June 2007). Presenter: Mark A. Romeo. "Look Who’s Watching: How to Protect Trade Secrets," OCTANe (June 2006). Presenter: Mark A. Romeo. 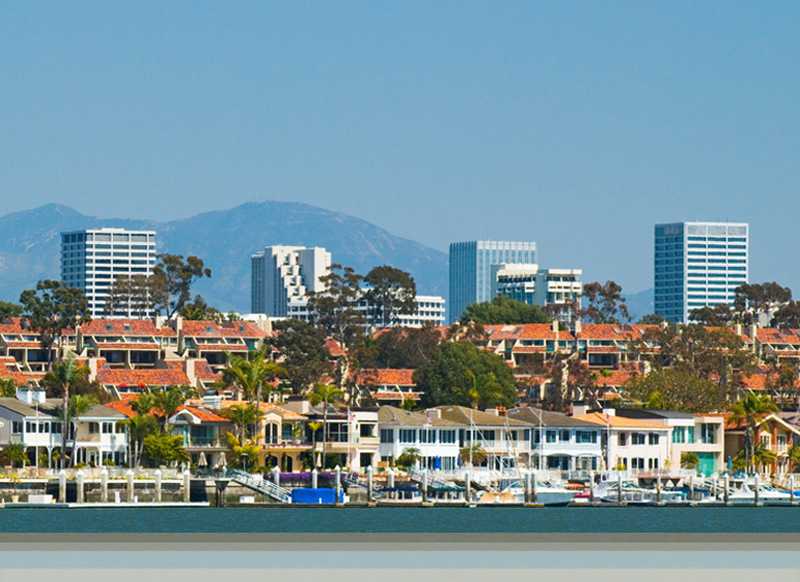 "Is California Moving to Restrict Restrictive Covenants?" Crowell & Moring's Trade Secrets Trends (February 1, 2019). Authors: Mark A. Romeo and Charlie Kazemzadeh. "Diversity is Important – But Is It A Trade Secret?" Crowell & Moring's Trade Secrets Trends (March 5, 2018). Authors: Mark A. Romeo and Helen Osun. "U.S. Supreme Court Rejects CFAA Appeal by Power Ventures against Facebook," Crowell & Moring's Trade Secrets Trends (October 16, 2017). Authors: Mark A. Romeo and Ian G. Robertson. "Trial Experts Must Pick a Lane – Source Code Expert Disqualified for Switching from Neutral Evaluator to Witness in StubHub Trade Secrets Matter," Crowell & Moring's Trade Secrets Trends (October 2, 2017). Authors: Mark A. Romeo and Ian G. Robertson. "Can Your Non Compete Agreement Be Invalidated Based on Wage-and-Hour Violations? One Appellate Court Says Yes," Crowell & Moring's Trade Secrets Trends (September 26, 2017). Authors: Mark A. Romeo and Ian G. Robertson. "Waymo v. Otto: Self-Driving and Self-Dealing," Crowell & Moring's Trade Secrets Trends (March 3, 2017). Authors: Mark Romeo and Derek Hecht. "Oculus: Looks Like Trade Secret Theft," Crowell & Moring's Trade Secrets Trends (February 3, 2017). Authors: Mark Romeo and Derek Hecht. Court Enters Non-Compete Injunction Under DTSA (January 23, 2017). Authors: Mark Romeo and Christine Cwiertny. "United States v. Nosal: Keep Your Friends Close, but Your Passwords Even Closer," Crowell & Moring's Trade Secrets Trends (July 18, 2016). Authors: Stephen M. Byers, Mark Romeo, Preetha Chakrabarti, and Joanne Oleksyk. "4 Key Takeaways: What the New Federal Trade Secrets Law Means for Your Clients (June 15 Webinar)" Crowell & Moring's Trade Secrets Trends (June 16, 2016). Authors: Mark Klapow, Mark Romeo, Michael J. Songer, and Vince Galluzzo. "Defend Trade Secrets Act Gets Early Test In Florida Suit," Crowell & Moring's Trade Secrets Trends (May 17, 2016). Author: Mark Romeo. "Obama Inks Federal Trade Secrets Law," Crowell & Moring's Trade Secrets Trends (May 11, 2016). Authors: Vince Galluzzo, Mark Romeo, and Mark Klapow. "House Finally Passes Federal Trade Secrets Law; Next Step is Obama's Promised Signature," Crowell & Moring's Trade Secrets Trends (April 28, 2016). Authors: Mark Romeo, Mark Klapow, and Vince Galluzzo. "Federal Trade Secrets Bill Headed to House Vote Wednesday," Crowell & Moring's Trade Secrets Trends (April 22, 2016). Authors: Mark Klapow, Mark Romeo, and Vince Galluzzo. "Designation of Trade Secrets a One-Way Ratchet in Discovery," Crowell & Moring's Trade Secrets Trends (January 22, 2016). Authors: Derek Hecht and Mark Romeo. "Recent Decision Reinforces the Significance of Motions to Seal in Trade Secret Cases," Crowell & Moring's Trade Secrets Trends (January 11, 2016). Authors: Derek Hecht and Mark Romeo. "Be Careful What You Wish For: The Importance of Forum Selection Clauses," Crowell & Moring's Trade Secrets Trends (December 7, 2015). Authors: Derek Hecht and Mark Romeo. "Hammering a Hard Drive Instead of a Royalty Check," Crowell & Moring's Trade Secrets Trends (October 5, 2015). Authors: Mark A. Romeo and Derek Hecht. "Access Denied — Christensen Sets the Standard for Violations of Penal Code § 502(c)" Crowell & Moring's Trade Secrets Trends (September 2, 2015). Authors: Derek Hecht and Mark A. Romeo. "10 Costly (But Avoidable) Employment Law Mistakes For Emerging Companies," Crowell & Moring (June 17, 2015). Authors: Mark A. Romeo, Thomas P. Gies, and Derek Hecht. "Threatened Misappropriation Under CUTSA in Absence of 'Inevitable Disclosure'?" Crowell & Moring's Trade Secrets Trends (May 15, 2015). Authors: Mark A. Romeo and Christine Cwiertny. "'Will Not Reapply' Clauses on Life Support in California?" Crowell & Moring's Trade Secrets Trends (April 28, 2015). Author: Mark A. Romeo. "Trade Secrets: Potential New Laws — And New Risks," Law360 (February 25, 2014). Author: Mark A. Romeo. "Litigation Forecast 2014: What Corporate Counsel Need to Know for the Coming Year," a Crowell & Moring LLP publication (January 2014). Contributor. "California Insights: FMLA Retaliation," Practical Law Labor & Employment, A Thompson Reuters Legal Solution (January 9, 2014). Author: Mark A. Romeo. "Roundtable on Employment Law," California Lawyer Magazine (December 2009). Panelist: Mark Romeo. "Ban iPods at Work?" Orange County Register (February 13, 2007). Profiled and Quoted: Mark Romeo. "High-Level Ripoffs: How to Prevent Senior Managers from Stealing Your Trade Secrets," Orange County Business Journal (November 20, 2006). Co-Author: Mark A. Romeo. "Job Landscape: Accommodating Handicapped Employees – Detailed Process Lets Firms Fulfill Obligation to Workers," Los Angeles Daily Journal (July 19, 2002). Author: Mark A. Romeo. "Firm Perspectives: New Hiring Regulations – Proposed Bill Would Protect Most Information From Reference Checks," Los Angeles Daily Journal (June 21, 2002). Author: Mark A. Romeo. "Legal Hurdles – Be sure to Avoid Pesky Traps When Considering Switch," Los Angeles Daily Journal (May 17, 2002). Co-Author: Mark A. Romeo. "Emergency Response: Employers Confront New Issues Following Attacks," Los Angeles Daily Journal, [re-published upon request in Bender's] (October 11, 2001). Co-Author: Mark A. Romeo. "Alluring Trap: Companies that Recruit Far Away Employee and Then Fire Them Could Face Fraudulent-Inducement Claims," Los Angeles Daily Journal (April 13, 2001). Co-Author: Mark A. Romeo. "Direct Threat: Employers Cannot Refuse to Hire Based on Danger to Employees," Los Angeles Daily Journal (June 8, 2000). Co-Author: Mark A. Romeo. "Dodging Damages: Prudent Policies Can Help Avoid Punitive," Los Angeles Daily Journal, (October 11, 1999) and House Counsel (March/April 2000). (April 1, 2000). Co-Author: Mark A. Romeo. "PC Giveaway: Offering Home Computers to the Workforce," Los Angeles Daily Journal (March 23, 2000). Co-Author: Mark A. Romeo. "Moonlighting: New Labor Code Section 96 Chips Away at At-Will Employment," Los Angeles Daily Journal (January 27, 2000). Co-Author: Mark A. Romeo. "Stolen Playbook: Inevitable-Disclosure Rules Applies to California," Los Angeles Daily Journal (January 24, 2000). Co-Author: Mark A. Romeo. "Age-Discrimination Act Nullifies Marks Decision," Los Angeles Daily Journal (August 23, 1999). Co-Author: Mark A. Romeo. "Unnecessary Rudeness – Is it Harassment When The Boss is Mean to Everyone," Los Angeles Daily Journal. (January 1, 1999). Co-Author: Mark A. Romeo. "Eliminating Guesswork – Accommodation and Collective Bargaining Agreement Violations," (December 1, 1998). Author: Mark A. Romeo. Stress, Mental Disorder and Other Invisible Disabilities: What You Can’t See Can Hurt You, (June 1, 1998). Author: Mark A. Romeo. Advanced FMLA: "Circumventing The Federal and California Traps that Trip Up Even The Most Savvy Employers," (September 1997). Co-Author: Mark A. Romeo.